Conservation and Regional Delivery Division provides integrated and customer focused services at the regional and local level to strengthen environmental conservation across NSW. This Division has responsibility for delivering state-wide conservation programs and includes services, programs and grants for threatened species, environmental water management, planning, coast, estuary and floodplain management, community engagement, compliance and enforcement. The Department’s vision – “Planning for growing NSW: inspiring strong communities, protecting our environment” – provides the benchmark for our partnership and leadership approach to engaging and working collaboratively with key State and Local Government, community and industry stakeholders to deliver better outcomes in the areas of planning, local government and the environment. The Department’s two related agencies - the Office of Environment & Heritage and the Office of Local Government - support the conservation and protection of the environment and an effective local government sector in NSW. Several other entities associated with the Department include the Environment Protection Authority, statutory trusts responsible for zoos, parks and gardens, independent assessment and planning bodies, and development corporations. One of the main roles is to assess the impacts of large and small developments on biodiversity, threatened species and Aboriginal cultural heritage. You will provide high quality technical advice aimed at reducing impacts on biodiversity to local council, the Department of Planning and Environment, large and small developers and consultants. You will also work with landholders providing advice on how to manage their land to improve or maintain its environmental values. The role is wide and varied, and requires an understanding of the NSW Biodiversity Conservation Act, associated regulations and the Biodiversity Assessment Method. The position will be required to liaise and communicate technical information regarding biodiversity conservation with local councils, landholders and the consultant and the developer industry. Provide technical advice and contribute to the delivery of biodiversity conservation, including advice that will inform environmental impact assessments, the exercise of regulatory functions and the setting of conservation priorities. Fauna and flora survey skills would also be desirable to be able to undertake future surveys as part of the role. The ability to use geographic information systems to interrogate datasets, and analyse and create vegetation information is also highly valued. A Degree in Environmental Science or equivalent. A Recruitment Pool may be established for future temporary and ongoing roles with similar focus capabilities. The Recruitment Pool may be available to hiring managers from DPE and other NSW Public Sector agencies over a 12-month period. Complete all the questions in the online application. Two of the questions will require you to provide specific examples from your experience (4000-character limit per question). These questions are shown below. Do not address these in your cover letter. Q1 Provide an example of a planning or development project you have assessed that required you to analyse technical information, use assessment tools, identify potential issues and negotiate a positive biodiversity conservation outcome. How did you identify, negotiate and communicate suitable outcomes? How did you maintain relationships with key stakeholders? Q2. Describe a previous role where you have had to manage multiple and competing priorities. How did you plan your work to achieve the deadlines required by each project? How successful were you and what factors contributed to your level of success? The Department of Planning and Environment values diversity and inclusion in the workplace. We welcome and encourage applications from people of all ages and genders, Aboriginal and Torres Strait Islander people, culturally and linguistically diverse groups and those with a disability. Applications Close: Thursday 15th November at 11:59pm. 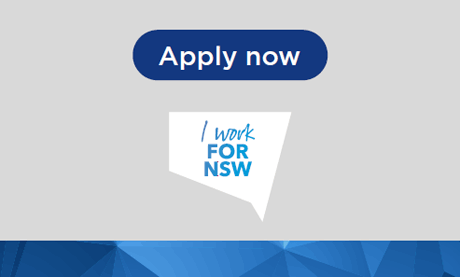 If you are viewing this advertisement on LinkedIn, please click ‘Apply’ to access more information about this role via the I Work For NSW website.